Hamedi, S., Ghaseminezhad, S., Shojaosadati, S., Shokrollahzadeh, S. (2012). Comparative study on silver nanoparticles properties produced by green methods. Iranian Journal of Biotechnology, 10(3), 191-197. Sepideh Hamedi; Seyedeh Masumeh Ghaseminezhad; Seyed Abbas Shojaosadati; Soheila Shokrollahzadeh. "Comparative study on silver nanoparticles properties produced by green methods". 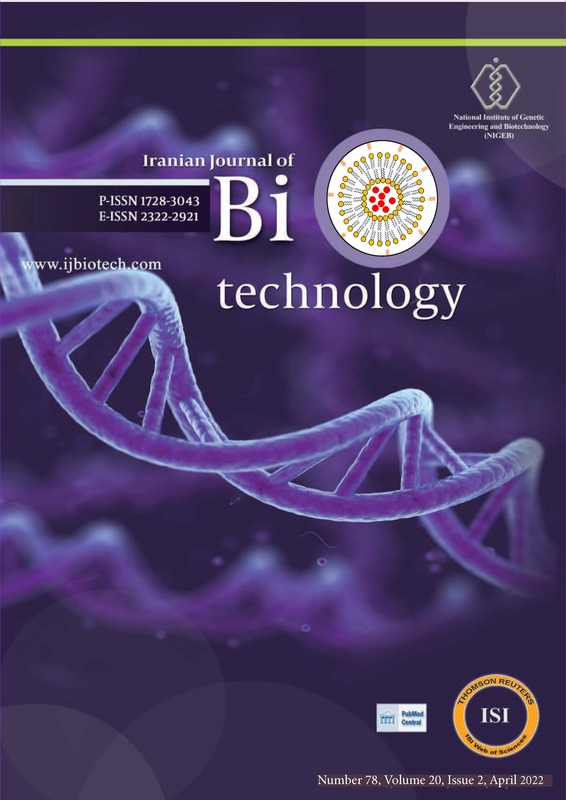 Iranian Journal of Biotechnology, 10, 3, 2012, 191-197. Hamedi, S., Ghaseminezhad, S., Shojaosadati, S., Shokrollahzadeh, S. (2012). 'Comparative study on silver nanoparticles properties produced by green methods', Iranian Journal of Biotechnology, 10(3), pp. 191-197. Hamedi, S., Ghaseminezhad, S., Shojaosadati, S., Shokrollahzadeh, S. Comparative study on silver nanoparticles properties produced by green methods. Iranian Journal of Biotechnology, 2012; 10(3): 191-197. 1Biotechnology group, Chemical Engineering Faculty, Tarbiat Modares University, P.O. Box 14155-114, Tehran, I.R. Iran. 2Nanomaterials Group, Engineering Faculty, Tarbiat Modares University, P.O. Box 14155-114, Tehran,I.R. Iran. 3Department of Chemical Technologies, Iranian Research Organization for Science and Technology, P.O. Box 15815-3538, Tehran, I.R. Iran. morphology were investigated by Tollens, polysaccharide, modified polysaccharide and microbial methods. comparative analysis of produced AgNPs by the above mentioned methods confirmed that modified polysaccharide method led to the formation of AgNPs with smallest size and highest productivity.